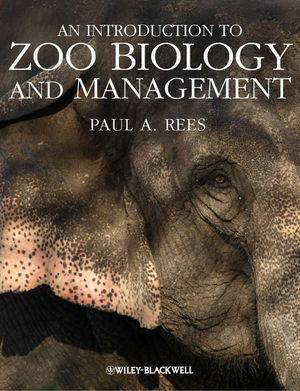 This book is intended as an introductory text for students studying a wide range of courses concerned with animal management, zoo biology and wildlife conservation, and should also be useful to zookeepers and other zoo professionals. It is divided into three parts. Part 1 considers the function of zoos, their history, how zoos are managed, ethics, zoo legislation and wildlife conservation law. Part 2 discusses the design of zoos and zoo exhibits, animal nutrition, reproduction, animal behaviour (including enrichment and training), animal welfare, veterinary care, animal handling and transportation. Finally, Part 3 discusses captive breeding programmes, genetics, population biology, record keeping, and the educational role of zoos, including a consideration of visitor behaviour. It concludes with a discussion of the role of zoos in the conservation of species in the wild and in species reintroductions. This book takes an international perspective and includes a wide range of examples of the operation of zoos and breeding programmes particularly in the UK, Europe, North America and Australasia. Visit www.wiley.com/go/rees/zoo to access the artwork from the book. Dr. Paul Rees is a Senior Lecturer in the School of Environment and Life Sciences at the University of Salford, where he is the Programme Leader for the BSc (Hons) degree in Wildlife Conservation with Zoo Biology. He is a biologist and lawyer with teaching and research interests in zoo biology, the ecology and behaviour of large mammals, and wildlife law. Dr. Rees has a special interest in elephants and once worked as an elephant keeper. PART 1 – HISTORY, ORGANISATION AND REGULATION. 1 The Purpose and Popularity of Zoos. 3 A Short History of Zoos. 4 Zoo Organisation and Management. PART 2 – ENCLOSURES, HUSBANDRY AND BEHAVIOUR. 7 Zoo and Exhibit Design. 11 Animal Welfare and Veterinary Care. 12 Collection Planning and Captive Breeding. 14 Education, Research and Zoo Visitor Behaviour. 15 In-situ Conservation and Reintroductions.